One of Microsoft’s biggestand most anticipated game of 2012: “Halo 4”, finally got a release date, Microsoft loves to bring the early tease of their products in late night television, just like last year “Cliff Bleszinski” from “Epic Games” premiered “Gears Of War 3” at his studio, similarly project Natal a.k.a “Kinect” showed up on “Night with Jimmy Fallon” right after one week of being unveiled, now “Conan O’Brien” who did his utmost to make a show for Xbox LIVE seems to be the platform behind “Halo 4” news. Tweets came in earlier from both “Alison Strall” senior Producer for “Halo 4” developer 343 industries, and Microsoft spokesperson “Major Nelson” not-so-subtly suggest “Team Coco” that they will have a big news for the highly anticipated sequel in series, but neither “Team Coco” nor “Conan O’Brien” retweeted or made reference to any announcement until the hush hush secret was officially announced. Mark your calenders Tuesday, November 6th, 2012, players will retake control of Master Chief as he strikes against an all-new threat to humanity. Back in 2007 Halo 3 was the most pre-ordered game in the history, 343 Industries developers aims to break that record and hope the Halo 4 project to be one of the highest-grossing games of all-time. So which side are you on? 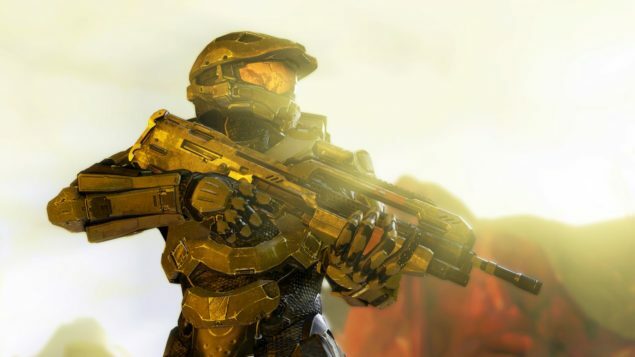 As for me the Man in the green Visor has got my vote, Let us know what you think about Master Chief’s come back. Release Date: November 6th, 2012.